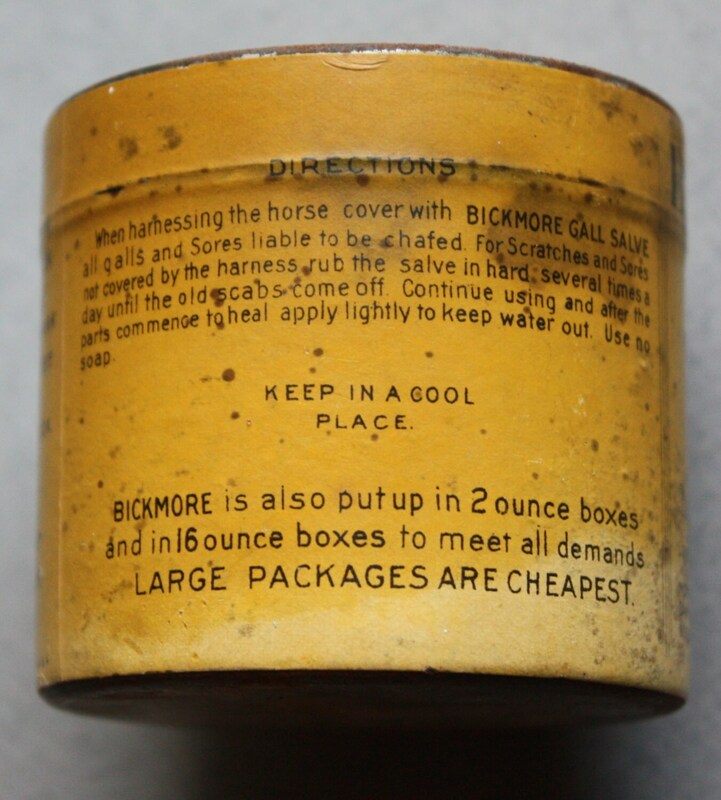 This is an interesting piece (http://www.theoldtownmuseum.org/wp-content/uploads/2012/10/A-Moment-in-History-Bickmore-Company-Web.pdf) on the history of Bickmore; however, the company is still in operation as evidenced by their website: www.bickmore.com. 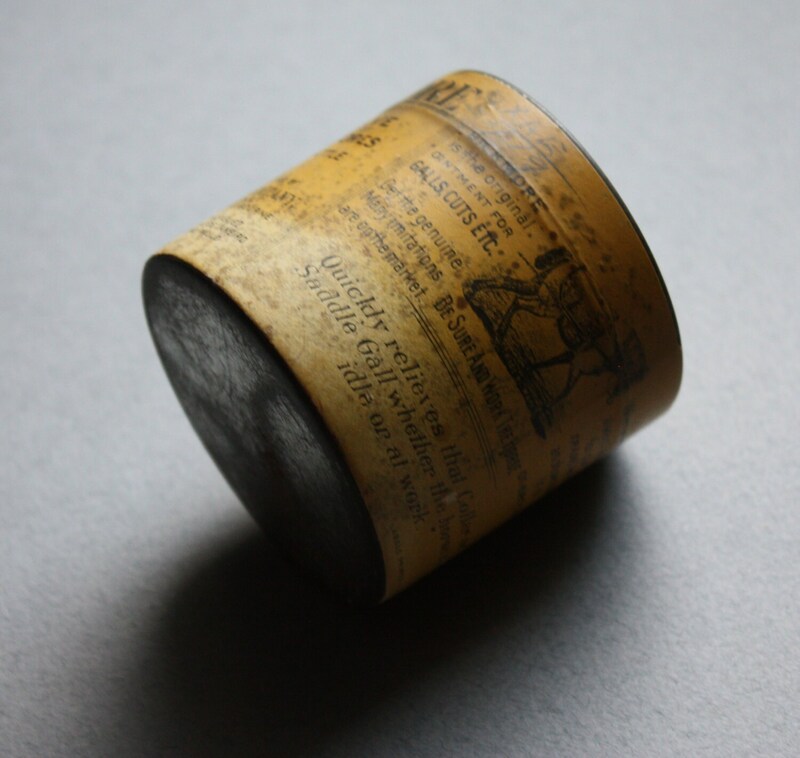 The tin is six ounce size and measures 2.50" and 2.25" in height. It is 8.25" circumference. 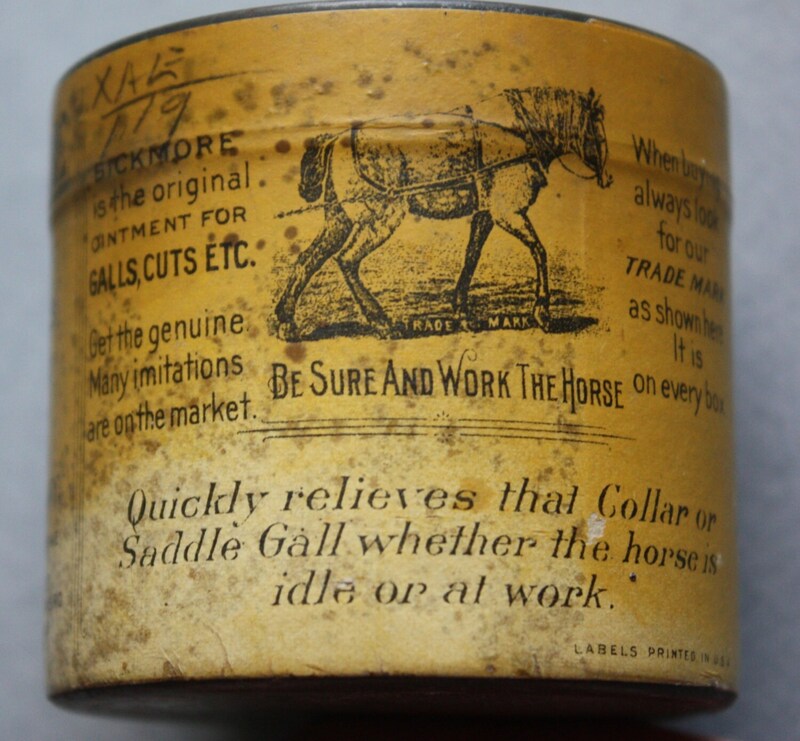 Graphics are clear but the yellow label color has faded unevenly in places. Also, there is penciled writing as seen in the third photo. 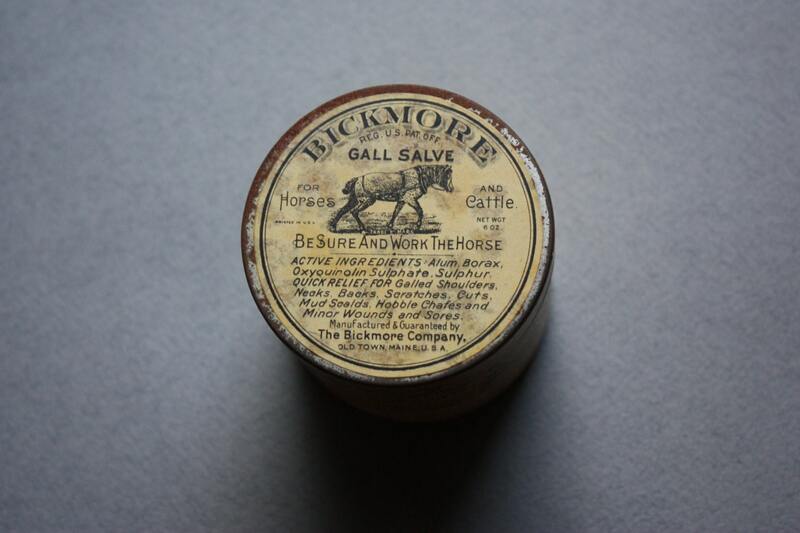 I definitely would not use this product on a horse or cattle as it is most definitely expired. 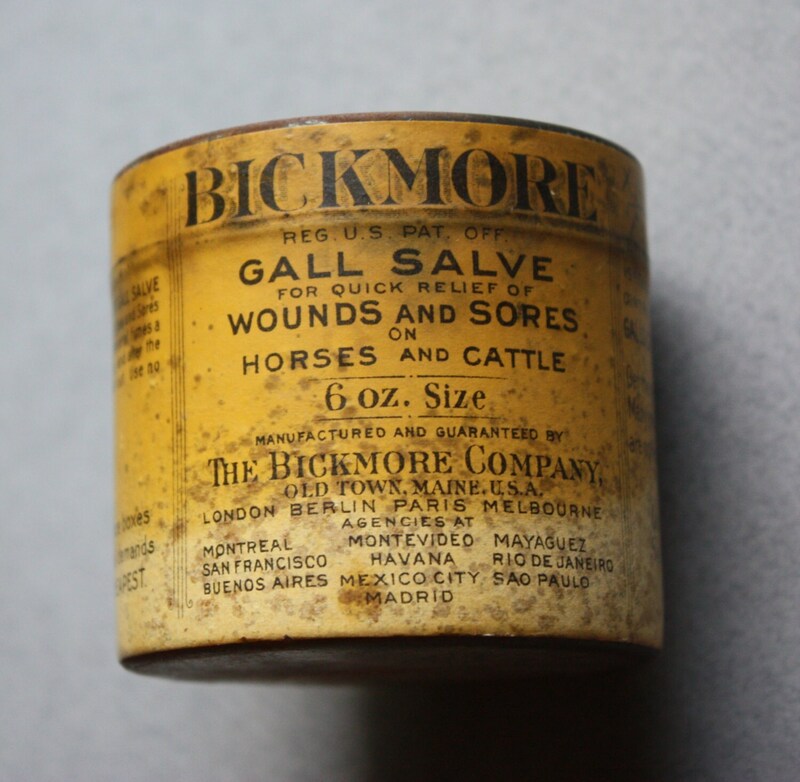 Bickmore still sells their product on their website, if one is in need of this salve. This particular tin should remain unopened and kept solely as a collectible.